Looking for some fun and colorful Spring and Easter Crafts for Kids? This collection of 20+ Spring Arts and Crafts for Kids includes a total of 90 ideas for spring-inspired crafts. 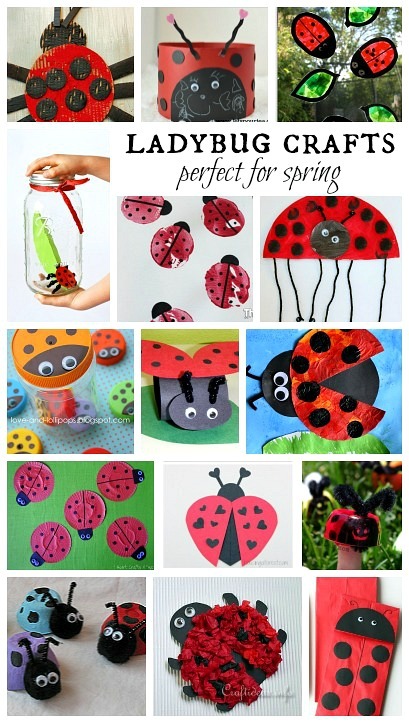 With round-ups for ladybug crafts, flower crafts, bird crafts, kites and more, you’re certain to find some great ideas for crafts with your kids this spring! In addition to this wonderful collection of arts and crafts for spring, I’m hosting an awesome giveaway this month. Scroll down to learn how to enter to WIN $500 cash! 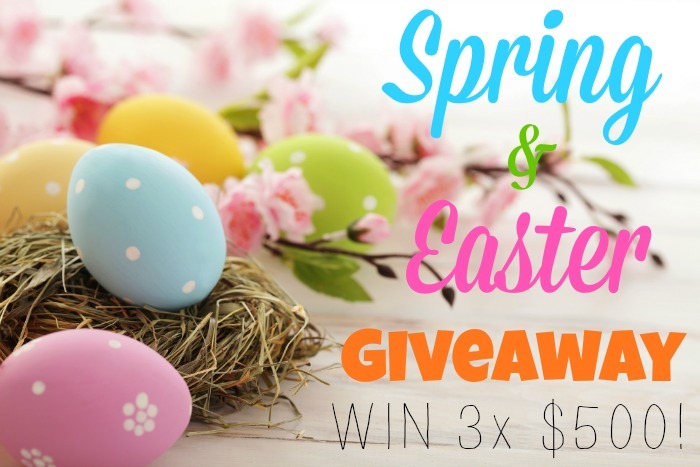 I’ve teamed up with a fabulous team of bloggers for an amazing Spring & Easter Giveaway of $500 PayPal cash to three lucky winners from March 2, 2015 through March 27, 2015. Terms: Win one of THREE $500 cash prizes directly in your paypal account! This giveaway is open internationally. You must be 18+ years old to enter. Void where prohibited. No purchase necessary. Winners will be notified via email and have 48 hours to respond before another winner is chosen. Please see detailed terms and conditions below the giveaway for more info. As a part of this fabulous giveaway I’ve rounded up 20 Fun Spring Arts and Crafts for Kids. I think you’ll enjoy all the great ideas – if you stop by any of these blogger’s posts please let them know you are visiting from HappyandBlessedHome.com! 1. 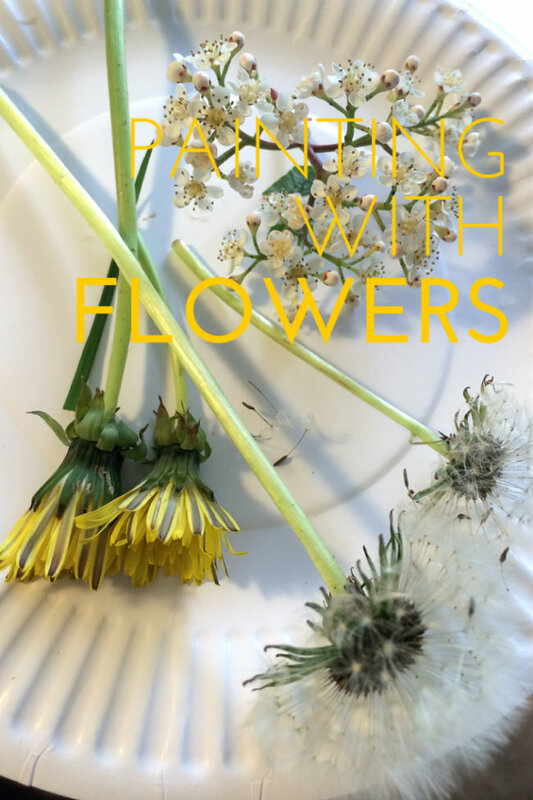 All the way form the UK, The Gingerbread House shares a wonderful way to incorporate springtime blooms into creativity and art with her post on painting with flowers. 2. 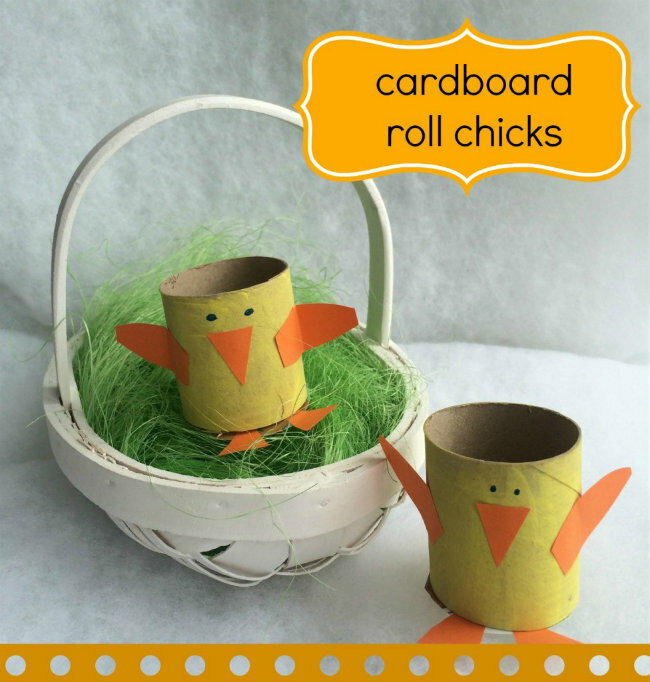 These Cardboard Roll Chicks from The Gingerbread House are adorable and a perfect fit for Easter and springtime crafts. 3. 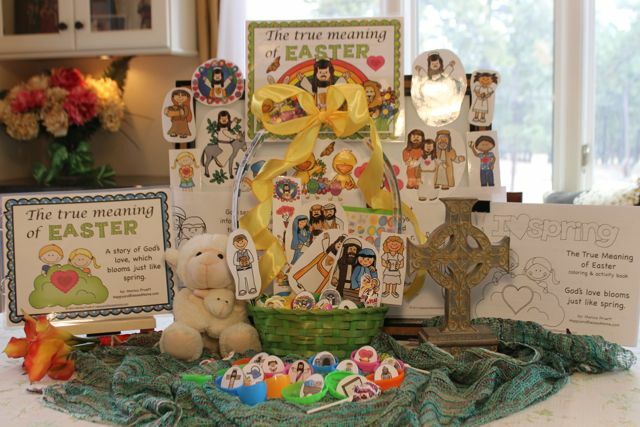 If you’re looking for Easter themed activities, make sure to check out this FREE children’s book from Happy and Blessed Home about “The True Meaning of Easter”. It’s written about God’s love – especially at Easter-time. 4. Easter Printables. To go along with the FREE Children’s book above, make sure to check out these fun Easter Printables on Happy and Blessed Home. There are coloring pages, Easter-egg stuffers, Easter-egg basket decorating printables and more. 5. Ladybug Crafts. Does your child love ladybugs? If so you’ll enjoy this list of Ladybug Craft Ideas from Housing a Forest. 6. DIY Easter Eggs. 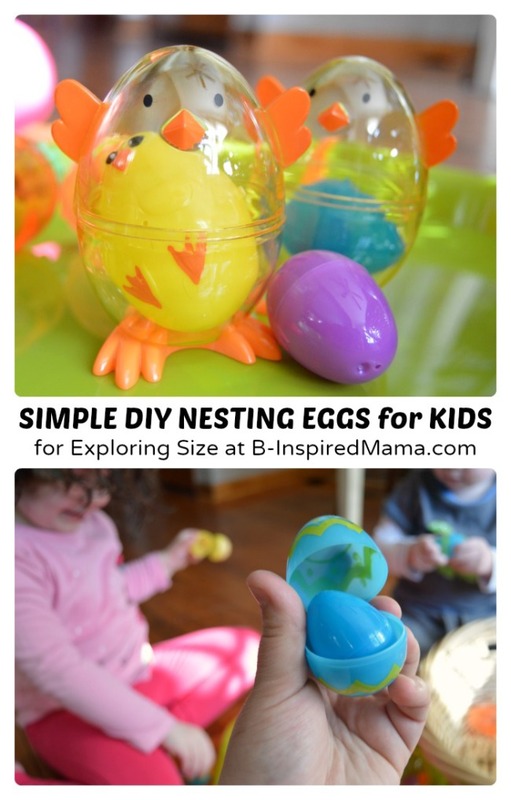 Check out these adorable DIY Toys inside of Easter Eggs post by B-Inspired Mama. 7. Stained Glass Craft. 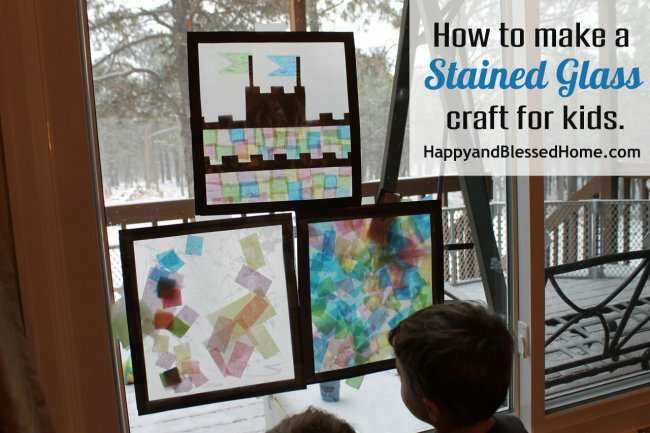 You can create stained glass art with tissue paper by following this stained glass craft for kids at Happy and Blessed Home. This post comes with FREE Shields printables as well. 8. Shaving Cream Painting. 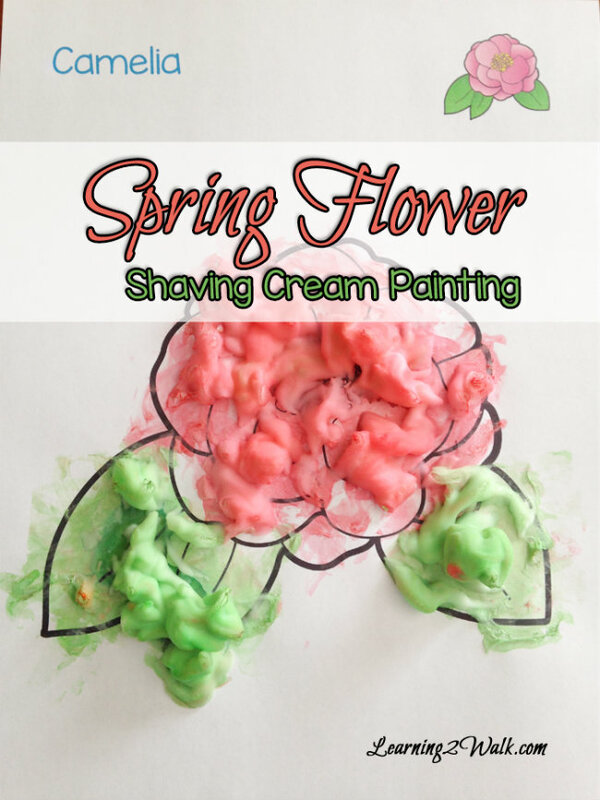 Enjoy this shaving cream spring flower painting by Learning 2 Walk. 9. Spring Garden Art. 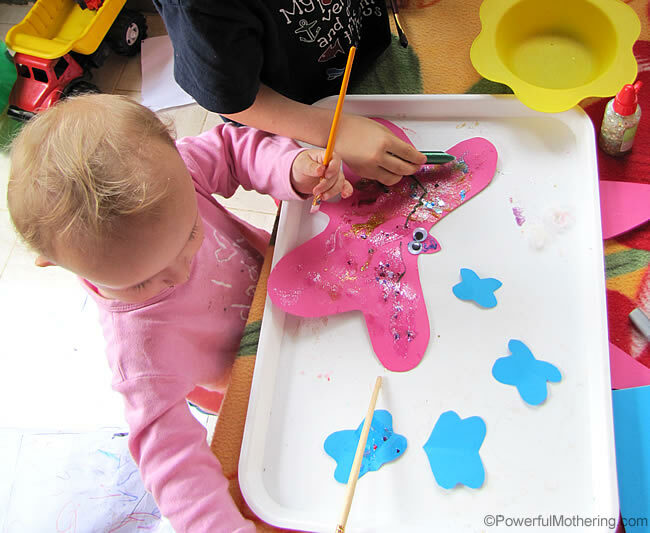 Create a spring butterfly art and garden play with this post from Powerful Mothering. 10. Flower Crafts. 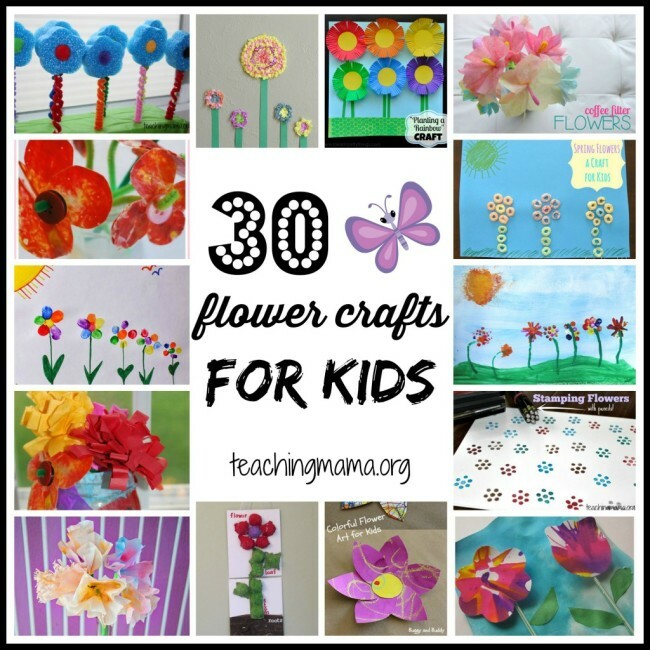 Angela from Teaching Mama has rounded up a list of 30 Flower Crafts for Kids that are perfect for spring-time-inspired arts and crafts. 11. Recycle Crafts. 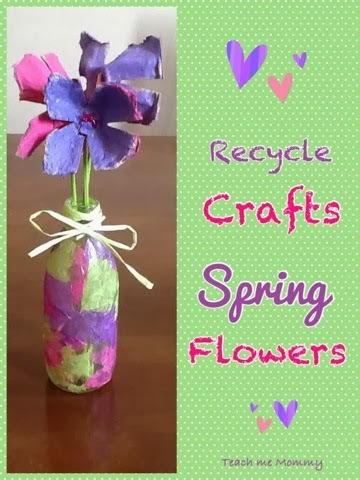 Teach Me Mommy shared this great tip for recycling crafts – create spring flowers. 12. DIY Pop Up Puppets. 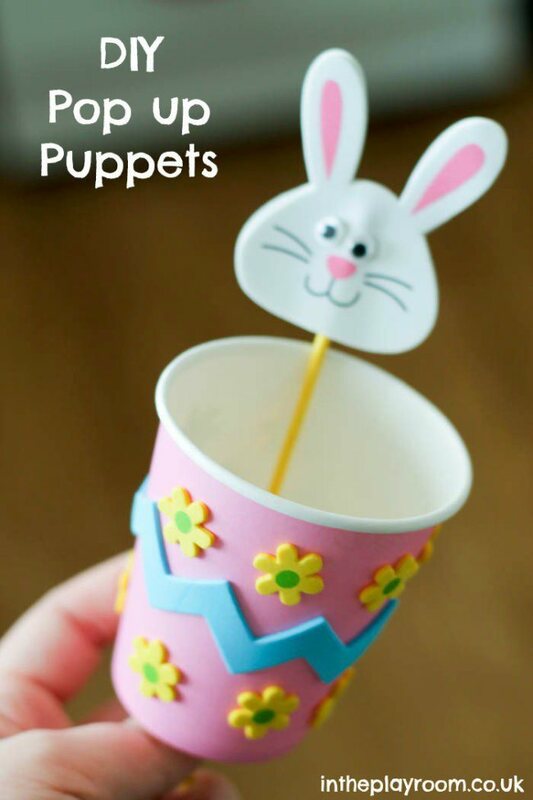 Keep kids giggling at craft time with these cute pop-up-puppets for spring! From In The Playroom. 13. Cardboard Birdhouse. 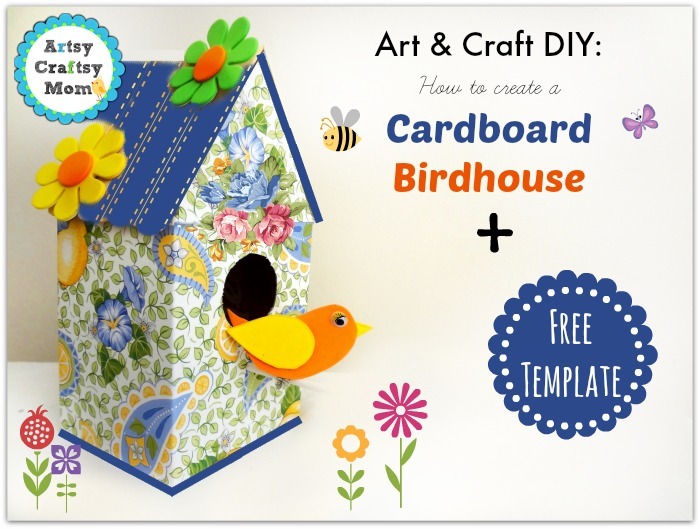 My boys love birdhouses and these Cardboard Birdhouses by Artsy Craftsy Mom are a great idea for springtime crafts. 14. Spring Wall Art. 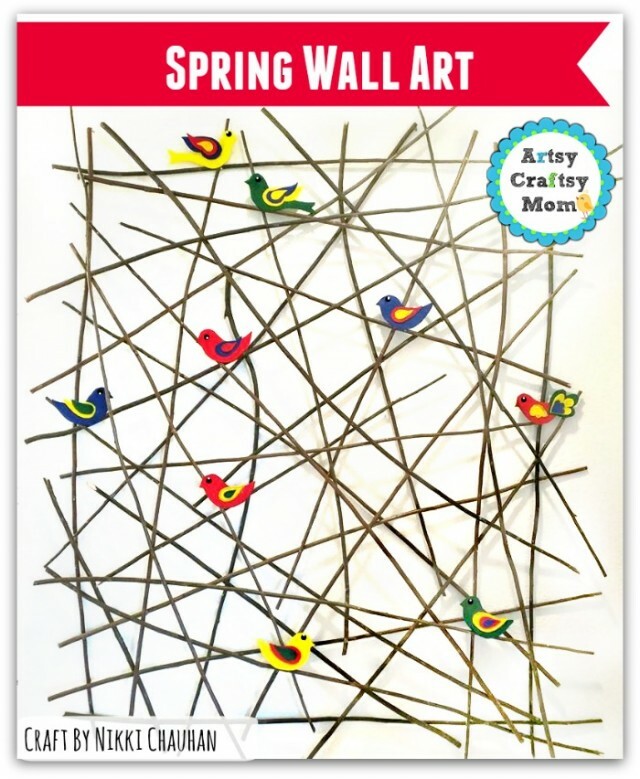 Artsy Craftsy Mom shares some cute Spring Wall Art. 15. Lift-the-Flap Book. 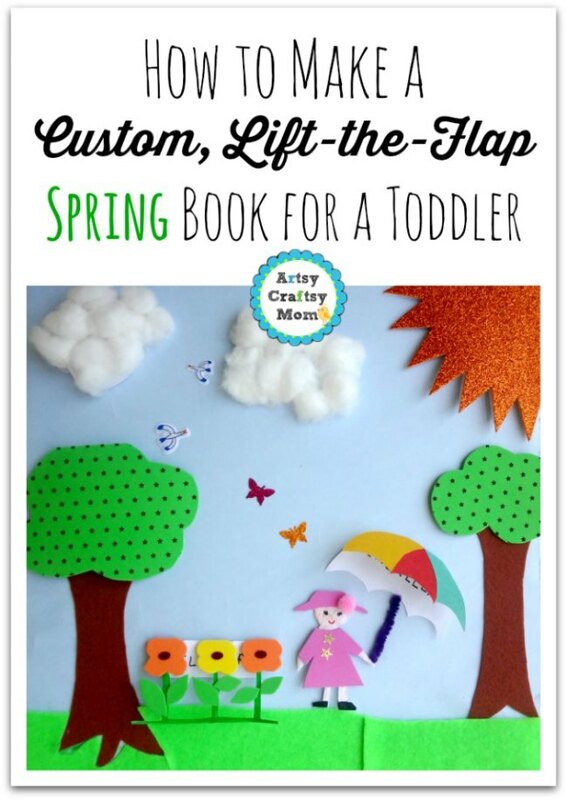 Ever wanted to create a custom, lift-the-flap spring book for a toddler? You’ll find a full tutorial at Artsy Craftsy Mom. 16. Bird Crafts. Spring is a time when one can enjoy the sounds of birds singing again. 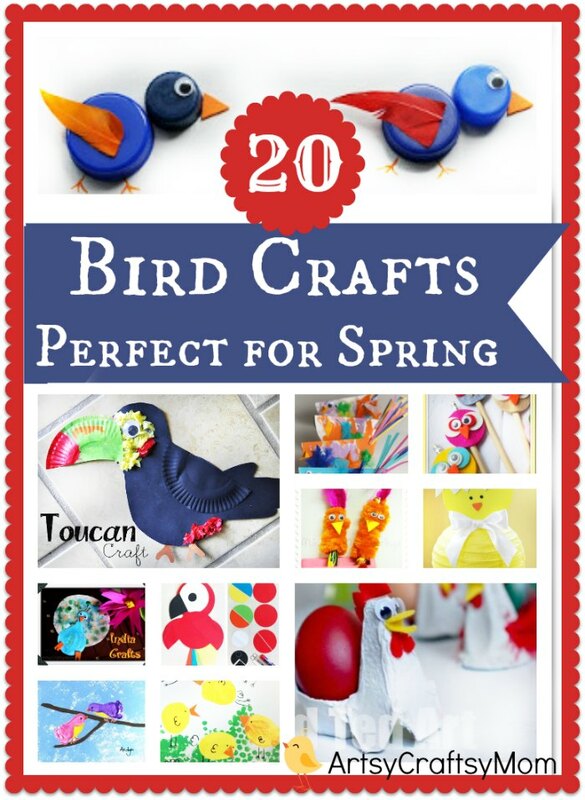 You can find 20 bird crafts perfect for spring at Artsy Craftsy Mom. 17. Make a Kite. I truly enjoy taking my boys outside to fly kites when the weather gets warmer. 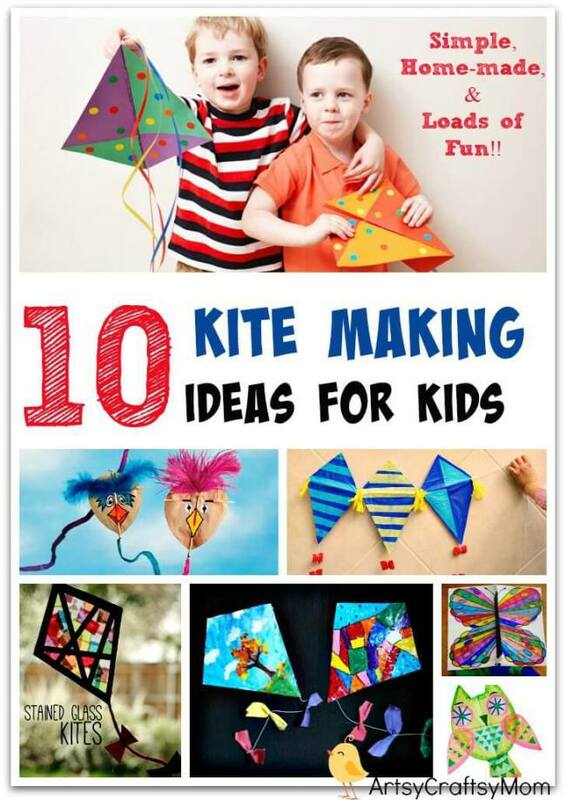 Check out these kite crafts from Artsy Craftsy Mom. 18. Paper Plate Crafts. 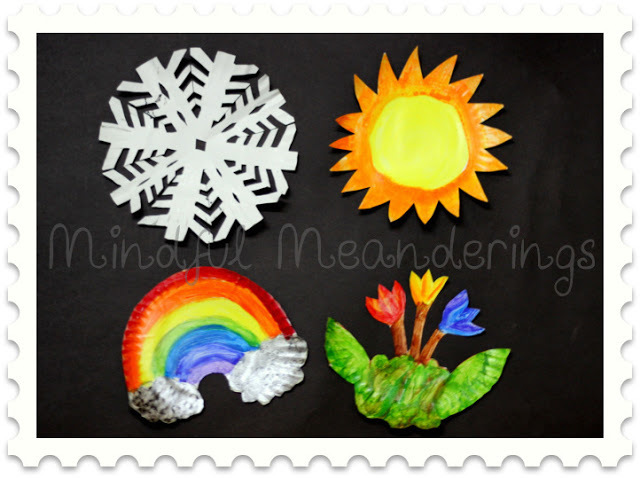 Enjoy making crafts with paper plates? You;ll like this post on paper plate crafts from Artsy Craftsy Mom. 19. Corrugated Flowers. 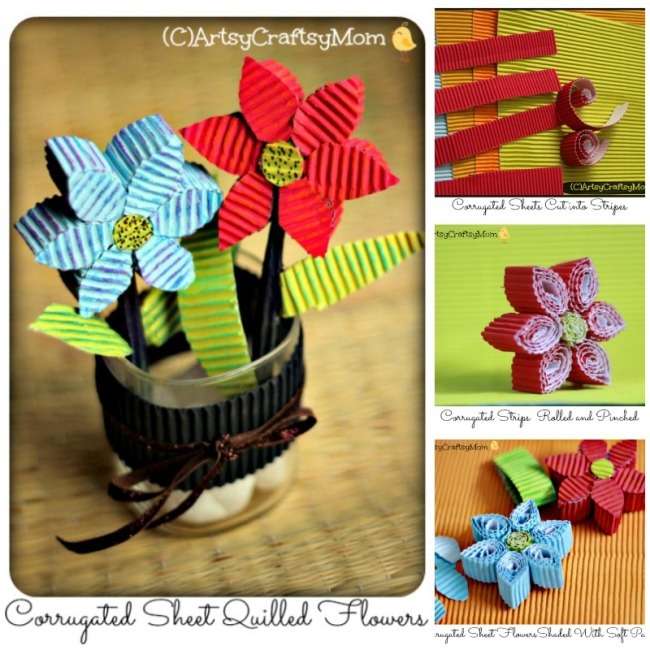 I love these corrugated sheet quilled flowers by Artsy Craftsy Mom. What a great way to use corrugated papers. 20. Corrugated Farm Scene. 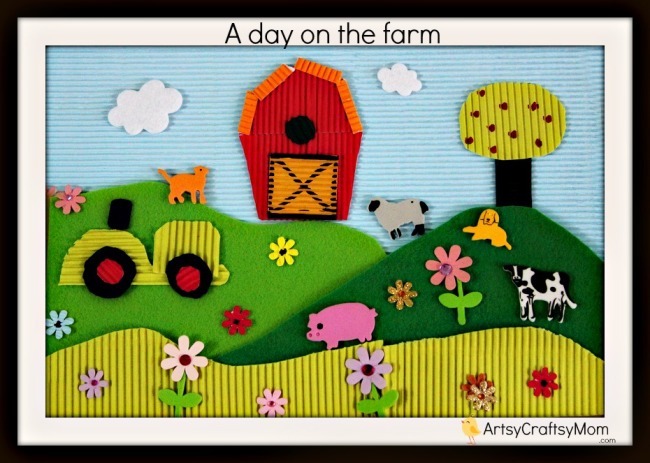 Love this farm scene also created by Artsy Craftsy Mom. What’s your favorite craft or art activity for spring? Please leave a comment below, I always love hearing from my readers. Thanks for being a fan! Do you have a board for arts and crafts, or kid’s activities on Pinterest? Help spread the word and PIN this post on Pinterest! Would you like even more great ideas for Spring Inspired Recipes, Activities and Crafts? Visit my friends on the KBN Network who are sharing some wonderful ideas.